Born of the imagination of the futurist architect Jacque Fresco, the Venus Project is the promise of an urbanized society from which the money would have disappeared. Apple Park’s work is not yet complete, but the 12,000 employees of the famous apple firm are starting to take over their new offices in Cupertino, California. In all, the move is expected to take six months. The last major project of Steve Jobs, the Apple Park is a monument that is distinguished by its circular shape and extends over 260,000 m 2 . Designed by architect Norman Foster , it cost five billion dollars. Its energy supply is mainly ensured by the solar panels installed on its roofs, and 80% of the area is covered with trees and greenery. Once completed, Apple Park will evoke a utopian future, which holds much of the circular city imagined by architect Jacque Fresco, who died on May 18 at the age of 101 years. Often called a ” dreamer “, when others called him ” charlatan, ” he claimed that a world without money was possible thanks to the help of technology and science. And he spent his very long life trying to prove it. His work, rewarded by the United Nations in July 2016, attracted different personalities. The borders have been abolished. The monetary system too. As a result, poverty and violence no longer exist. Laws are no longer necessary. Human beings, who are no longer obliged to work to satisfy their primary needs, devote their energy and creativity to study, art, and innovation. They live again in harmony with nature. But they have quality habitats, efficient means of transport, education and medical care of very high level. Here is the world that Jacque Fresco wanted. The founder of the American Transhumanist Party Zoltan Istvan met him at his research and experimental center in Florida in October 2016. It was named Venus Project in reference to the nearby town of Venus and was built at The end of the 1970s. Accessed by a cracked and deserted road. A white barrier then opens onto a park of eight hectares. Planted with tropical trees, it houses raccoons, crocodiles, and small half-spherical constructions. Inside, the work of Jacque Fresco is exposed. And there is nothing better for humanity than a “resource- based economy “. Developed throughout its conferences, seminars, articles and books, this model is the keystone of Jacque Fresco’s philosophy. It is based on the idea that if we do not have enough money to feed, house, care for and educate everyone, we have enough resources. And advocates the distribution of these resources in an efficient and equitable way without going through money, barter, credit or labor. In this system, which can be compared to that of a public library, all goods and services are accessible to all, free of charge. What makes the concept of property obsolete, and at the same time eradicates the notion of theft. Such a system is only possible if resources are produced in abundance. And this is where science and technology, according to Jacque Fresco, must come into action. ” If we used our technology to produce abundance, the assets would become too cheap to be monetized, ” says colleague Roxanne Meadows . ” There is no price for things that are abundant. For example, air is a necessity but we do not regulate or monetize the amount of air breathed. The air is abundant. If the apple trees were growing in abundance, we could not sell apples. “But this air and apples must also be of good quality, hence the importance of preserving our environment by developing clean energies. Only then will humanity be able to overcome the problems it faces today – global warming, pollution, famine, disease, wars and territorial disputes. ” There are no ethnic, religious or gender problems, there are only human problems, ” said Jacque Fresco, who logically advocated for nations to dissolve and for people to move freely through the world. ” If you want the end of the war, you must proclaim that the Earth is a common heritage ,” he insists in Roxanne Meadows’ documentary Paradise and Oblivion . At about the same time, Jacque Fresco accidentally fell on Albert Einstein at the exit of a New York cinema. He begs him to give him an interview, and the eminent mathematician agrees to receive him at Princeton University. Asked about his vision of economic and social organization, he takes a little water and tries a microscope to the teenager to observe the merciless struggle that the various organizations that compose it. ” That’s how nature works, ” says Albert Einstein. ” And it is also in this way that a society works. Jacque Fresco then has the guts to express his deep disagreement. He himself was traumatized by the economic crisis of 1929. ” From one day to the next, he found himself surrounded by misery and suffering, ” says William Gazecki. ” People’s resources, infrastructure and skills were the same. And yet, they had lost everything and their suffering was unbearable for Jacque Fresco. “Henceforth, convinced that capitalism is absurd, seeks an alternative to communism and socialism before estimating that the systems advocated by these ideologies would not be more effective. 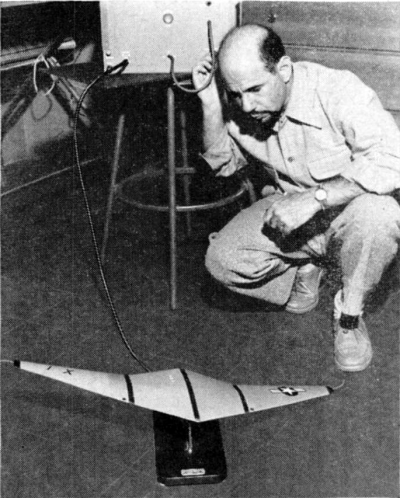 Back in his country, Jacque Fresco works for the airline company Douglas Aircraft Company. And when the base of Pearl Harbor was attacked, on December 7, 1941, he joined the Air Force. The Second World War left the United States with overcapacity in production and housing. Fresco therefore designs a house entirely made of glass and aluminum, which can be built quickly and at low cost. Ten men could erect its structure in just eight hours. Known as Trend Home, it is made in mass and provides some professional recognition to Jacque Fresco. But his ambitions as an architect are obviously not limited to housing. It was in the 1970s that he conceived an entire city and presented it on radio and television. At the same time, he founded a small association, Sociocyberneering Inc., and met Roxanne Meadows. Together they seek to acquire land in Florida to build a futuristic research center and eventually settle on a tomato plantation next to Venus. The circular city imagined and modeled by Jacque Fresco is organized around a powerful computer in charge of controlling the quality of water and air, maintaining safety and environmental balance. This computer is located under a huge dome containing all the goods and services that the inhabitants can use for free: food, medical equipment, care, education. And the circular shape was not chosen at random. According to Fresco, which relied on its numerous architectural models to demonstrate it, it brings each quarter closer to the central dome. The stated objective of the Venus Project is to make these models a reality in order to prove to the world that the resource-based economy so dear to Jacque Fresco is not a utopia, at least on a city scale . As for the research and experimentation center itself, it is supposed to represent the surroundings of the ideal city of Fresco, while showing that technology and nature can harmoniously coexist. Surrounded by tropical trees and wild animals, the buildings dotting the park are not visible, for example, from one to the other. The Venus Project has also allowed Jacque Fresco to develop other urban models, including aquatic cities, that would reduce population pressure on land and promote ocean conservation by promoting their study. ” The idea of ​​an experimental city is realistic ,” says Zoltan Istvan. ” Knowing if the whole world would embrace the theory of the resource-based economy is something else, but an experimental city could lead the way and partly answer that question. However, this single undertaking requires considerable financial investment and a call for donations has been launched. Hence the importance, for Jacque Fresco and Roxanne Meadows, of making their work known through documentary films. That of Meadows, Paradise or Oblivion , has been viewed almost 2.5 million times on YouTube. “Seems” meaning you have not done any research on it. If you have actually researched it, you would know there is a difference between scarcity driven economics and post scarcity economics. The planet is limited in it’s carrying capacity of natural resources, that is the real regulation. However through intelligent management of natural resources through production, upgrade, recycle, and reuse, as well as the most efficient distribution methods possible, combined with a well informed and innovative society, would bring about post scarcity economics. But since you refuse to inform yourself on a resource based economy, your criticisms are not legitimate. I have one question. How are the resources distributed. It seems to me that one would have to be in a permanent state of massive overproduction as there would be no mechanism to determine where and in what quantities to put resources,. This would be environmentally inefficient and unsustainable, so could you clear this up for me? As described by The late Great Jacque Fresco in “Future by Design” there will be a central Super computer calculating the worlds total need and determining the most efficient distribution plan . Just like; when we go to the butcher, and ask for a pound of meat; we trust that his machine is more accurate than him weighing it in his hand, or eyeballing it (which is what we allow politicians to do today ). No less Gregory J Gordon. Decision-making is been assigned more and more to machines and the fact that machines can handle much more information than any human, tells us that there will be inefficient for humans to take decisions they way we do today. Instead we can use computerised system to actually Arrive At Decisions much quicker and in a more efficient way. Another example of decision-making assigned to machines is the modern elevator, they are automated. Modern airplanes are highly automated today and could still be improved and do away with the pilot. Big supermarkets chains rely highly on their computer systems to remain in business. Acting like it is a problem to use money to try to end money when you don’t have much of a choice is a pretty sleazy criticism. These ideas are very similar to the ideas of Michael Tellinger, founder of Ubuntu Planet. He has come up with a pretty brilliant plan to turn small towns into self-sufficient communities. He makes a compelling point when he says,”Money doesn’t Do anything. People do everything.” It’s so true!! People plant crops and bake bread. People design, invent, build, assemble, organize, create music and art, etc., etc. When people decide to work together for the benefit of the whole community, there really isn’t any limit to what can be accomplished. The joy of living can be regained as people no longer have to live in isolation and fear; fear of losing a job or a home, or not being able to care for themselves or their children. At some point, I think there will be more people choosing to live in one of these communities than choosing to compete in a system that doesn’t have their best interests in mind. Maybe the Venus Project and Ubuntu Planet can team up to reach a wider audience and bring these ideas to life. If not us, then who? If not now, then when? Wow!! Hannah you say it all. How depressing to think that the wealthy and powerful, like kings and queens of old, can continue to control the masses of humanity. Lets get on with this “Resource Based Economy” concept. Something I’ve been very interested in lately is what are the dimensions of Jacque Fresco’s circular city design. Pacifically what is the circumference and diameter of the city and what is the height and width of the skyscrapers. I’m trying to get a clearer picture in my head of how much space such a city would take up as well as the amount of time it would take on average for someone to walk from one of the sky scrappers to the city center. The ambient environment that imposes conditions on social reality includes outer space that presently is increasing particle resistence to the passage of our solar system. Has anyone heard of “The Solar Flash” or “Solar Sneeze” that potentially causes mass extinction? It’s about time to put RBE into action building space-worthy bio-spheres with EM/ME (electro-magnetic/magnetoelectric) shielding & accelerate the learning process of how to live in an enclosed space in outer space….would you agree? Are you famiiar with the Bitcoin millionaires plans to spend 100+ millions to build a sovereign “city”? Aren’t they wasting Time & Money when The Venus Project is already putting a well-thought-out Plan into action?